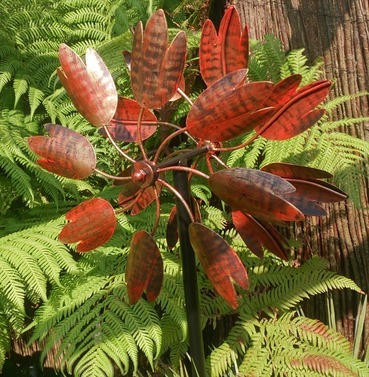 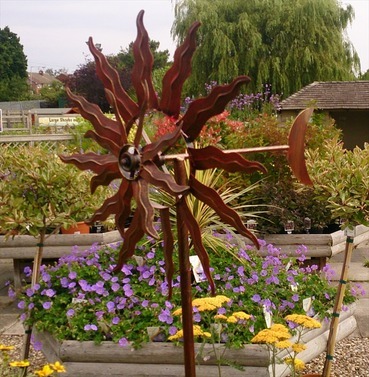 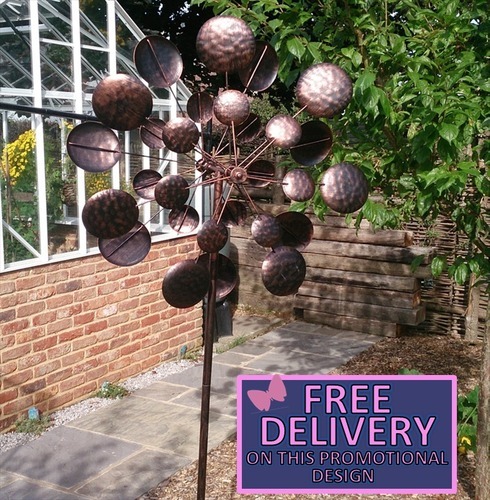 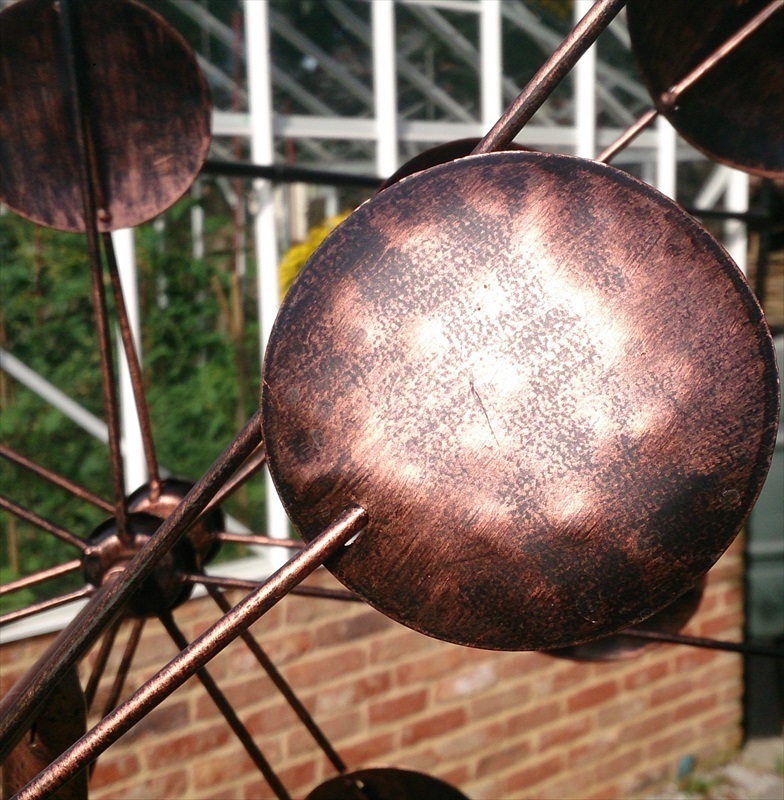 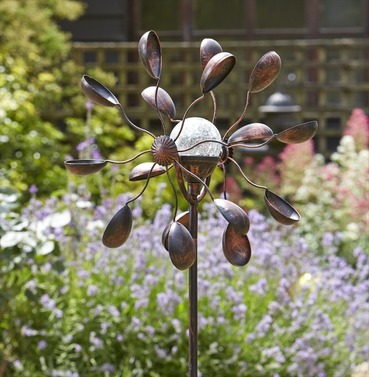 The addition of a wind spinner to your garden brings an attractive dimension with movement, this wind sculpture rotates in the wind. 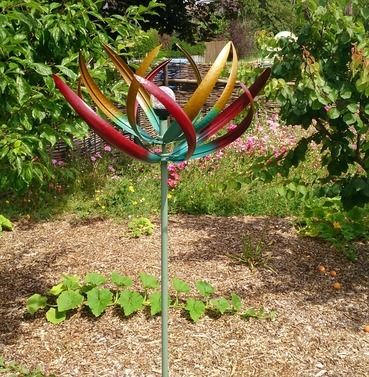 The Galaxy kinetic wind sculpture has 4 sets of sails mounted on silent bearings rotate in opposite directions and add interest without noise. 4 Burnished Copper Gold finish steel sails rotate to face the breeze.